Sebastian Ashcroft, fourth Marquess of Danesfield, had no intention of accompanying Sophie Beaufort on a ludicrous quest to find her missing brother. Nor did he want to be part of the investigation into her brother’s dealings with the mysterious Comte de Dampierre. But desire can do strange things to a man. Threatened with an indecent proposal from a dissolute French comte, Sophie Beaufort is forced to travel to London to discover the reason behind her brother’s mysterious disappearance. Capable of handling her own affairs, the last thing she wants is to be encumbered by the dishonourable Marquess of Danesfield – a man she so desperately wants to hate. 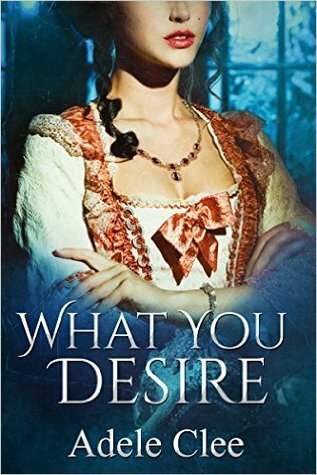 I liked the plot idea behind What You Desire, which had all the makings of a great Regency adventure story. However, characterisation let down the book for me. There is no disguising that this is a bodice ripper and, as such, historical accuracy has to have a little leeway. Nevertheless, I found Sophie's behaviour untenable. She seemed to equate strength with petulance and a high libido. That a woman, however independent, who'd been brought up the way she had would act in the manner she does just didn't sit right with me. Likewise, Sebastian stressed often that he's not a rake, but his actions didn't reflect that. It was an enjoyable romp in many ways, but the wild characterisations prevented me from fully immersing myself in the story; it was simply too jarring. If you enjoy the body ripper style of historical fiction and aren't so worried about accurate portrayals of people in that time period, no doubt you'll find something to love in What You Desire. However, if, like me, you prefer accuracy in all aspects of historical fiction, it may be best to approach this work with a little more caution.